As you may know, Blessings Unlimited has changed its name to Mary & Martha. We are all about living in the &. Our company focus is about creating a place where people are welcomed and loved on; a place where your home has meaning and purpose; a place where gathering around the table, your table, creates moments to remember. I LOVE the &! It is not about perfect homes but about giving your full attention to the people in it. I know that if we know the story of the sisters Mary & Martha from the Bible we can immediately identify with one or the other. Here is a short comparison quiz that I hope shows you that we each have a little of both in us and that we really do ‘Live in the &’. Read the pairs across and check the one you most identify with in that line, Mary or Martha. But they are better together . . . I hope you see that we all really do possess qualities of each woman. What I love about the Story of Mary & Martha is that Jesus did not ask them to change their personalities in order to serve Him. However, He did change them. Joanna Weaver in her book Having a Mary Heart in a Martha World says, “Two completely different women undergo a transformation right before our eyes: a holy makeover. The bold one becomes meek, the mild one courageous. For it is impossible to be in the presence of Jesus and not be changed.” That is the real heart of the matter. At Mary & Martha, our Gatherings focus on demonstrating products and giving tips in a way that helps hostesses and guests re-imagine what their homes can be used for. . . to teach a new generation of women to use their homes not as a pit-stop between activities but to use them to create cherished memories, build relationships, and serve others. There are two short videos I'd love for you to watch here. I think they really sum up who we are. 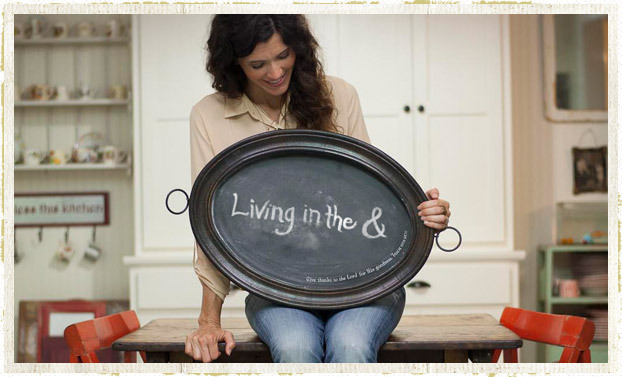 Our mission- To use our products to stage inviting experiences for women in their homes, so they can live in the & combining faith and work…loving God and loving others. While these are not sponsors of this particular post, I am blessed to have their support on Purposeful Homemaking.